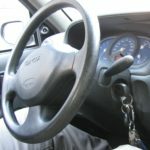 The car ignition key is one of the most important features of any vehicle regardless of its age, origin, make or model. A problem with the ignition key of your car is common. The most experienced problems with these two components can be summarised by two explicit situations that maybe key stuck in ignition or key won’t turn in the ignition at all. 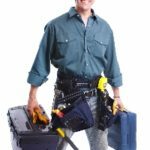 Notwithstanding, this is where the Bobcat Locksmith can help you out with a professional ignition repair service which is offered 24/7 to resolve your problem as quickly. Furthermore, issues relating to ignition key or switch can be resolved without the replacement parts which can be quite expensive. Our ignition key repair service is cost effective and will get your car up and be running immediately. We have vast knowledge and past experience with keys and solving other ignition related problems. 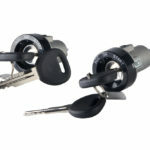 Is your key not turning in the ignition or has it been damaged as a result of an attempted theft? We’ll get it fixed! he key snapped and got stuck in the ignition thus making it unable to turn the car, or switch it off. An ignition key replacement is also needed in the event you lost your keys, need a key repair or damaged the ignition key. In summary, this goes to show that a faulty or broken ignition key means you are going nowhere if not replaced ore repaired. Ignition Repair is indeed embarrassing and could cause lots of unnecessary headaches. Dont let this happen to you and ruin your day. Give us quick call to Bobcat Locksmith, and we will provide you with reliable, efficient and a cost Ignition Repair Near me that will have you back at the wheel. Call us at 512-954-5025! . We will be able to perform an ignition repair, key repair, or ignition switch replacement onsite 24-7. Lastly, our ignition repair services are carried out by Auto Locksmith Austin who know their work inside out and would as well make your new key or ignition switch to functions as the original ones, which recognized and accepted by the vehicle. Fast & Reliable Service- Depending on your location, we could be at your address in as little as 30 minutes for locksmith services! Friendly Service Guaranteed- Not only are Bobcat Locksmith’s technicians experienced professionals, but we are also the friendliest. We’ve built our business by providing excellent customer service and valuing our clients, their loyalty and their referrals. Satisfaction Guaranteed– You can count on us for the best and most affordable locksmith and lockout services in central Texas!